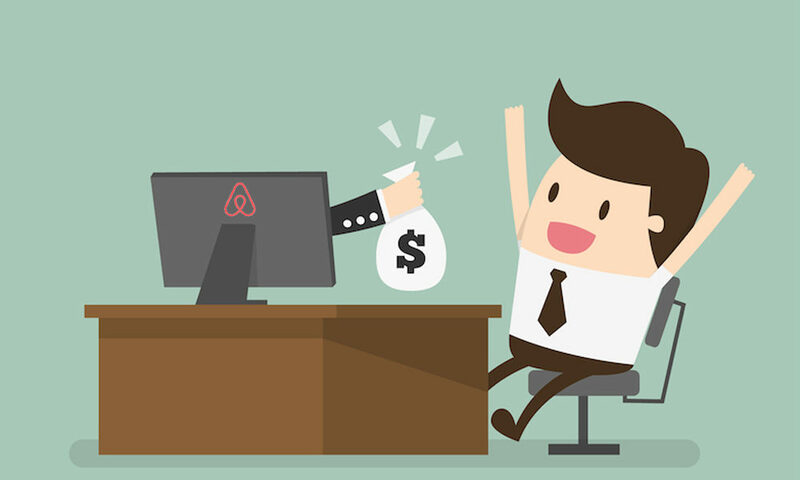 Are you wondering how to get rich with Airbnb? If so, let me tell you a quick story. 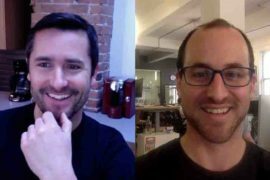 Back in 2007, Brian Chesky and Joe Gebbia, the co-founders of Airbnb, were both living in a modest apartment in San Francisco and couldn’t afford to pay rent. The young entrepreneur roommates, who met while studying at the Rhode Island School of Design, quickly noticed that the Industrial Design conference was coming to town and that the event was going to bring in so many people in the city that all hotel rooms were booked. So they quickly created a website called airmattressbedandbreakfast.com where they ended up finding three Guests who were willing to pay $80 a night each to sleep on cheap air mattresses laid out on their kitchen floor. The experience was a success! Ten years later, Airbnb is worth more than $30 billion. The “get rich with Airbnb” Founder’s story sure is a great Cinderella fairy tale and I also got to taste a piece of it myself. Back in late 2012, I found myself on the verge of bankruptcy after spending 10 years of my life directing, producing, and distributing a self-financed travel film called 2 Frogs in the West. We ran out of money to promote the film, which drove me into a financial disaster. My house went up for sale to clear my film debts. Looking for a way to make some money until we’d sell our place, my realtor told me that I should rent out our home on some website called Airbnb to supplement my income until we find a buyer. Looking for a way to make some money until we’d sell our place, my realtor told me that I should rent out our home on some website called Airbnb to supplement my income until we find a buyer. 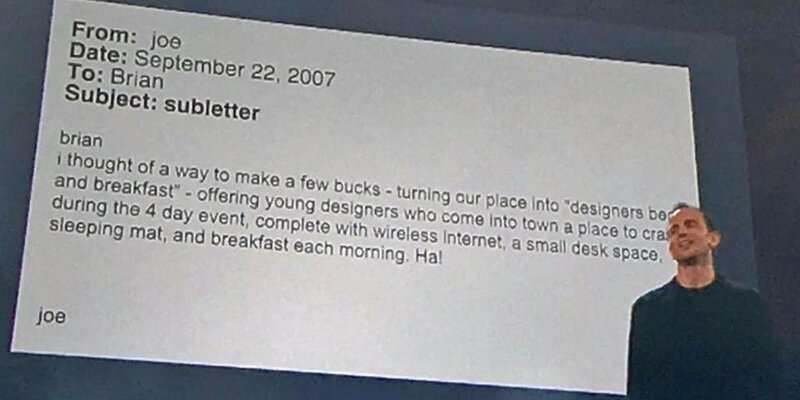 So not knowing what Airbnb was at that time, I opened my profile hoping to make a few bucks before going totally bankrupt. Since then, I’ve generated over half a million dollars on this website! I know, half a million is not $30 Billion. But Airbnb sure changed my life. Instead of going bankrupt, we kept our home because it became our main source of income to put our finances together. Over the years, I started using my Airbnb cash flow to pay my film debts, buy more properties with my family, pay for new furniture, mortgages, insurance, cleaning staff, maintenance staff, renovations, electricity, internet, short-term rental permits, short-term rental tax, income tax, municipal tax, school tax, and to hire an expensive lawyer that I don’t like so much to fight my $62,000 Airbnb tax bill. Even if do not consider myself “rich”, I currently have no credit card debts whatsoever, I have a nice chunk of money in the bank account, I co-own some prime location real estate in Quebec. I’m also healthy and I’m surrounded by a talented artist boyfriend named Brad and great friends and family that I love dearly so I’m definitely the “richest” I’ve ever been in my life. 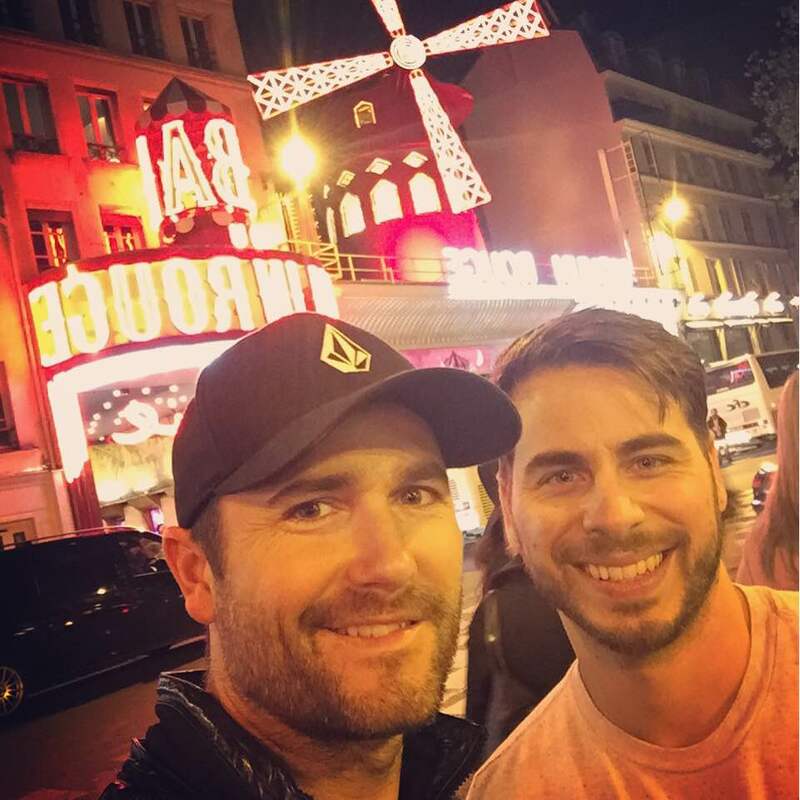 Here’s Brad and I in front of Moulin rouge when we traveled to the Airbnb Open that took place in Paris in 2015. 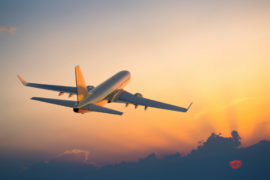 I love traveling and to tell you the truth, since my teenage years, I’ve also always had a passion for buying and selling cars – which might explain why I became so good at selling rentals of my place on Airbnb. In the last 25 years, I’ve owned more than 70 used cars, mostly german ones. I’ve also owned a few Audi’s and BMW’s all-wheel-drive, Nissan Pathfinder’s, Toyota 4Runner’s, Jeep’s, Mazda Miata’s, Honda Civic’s and yes, I’m ashamed to say I’ve once owned a white automatic Dodge Shadow and two Chryslers Neons (a silver and a green one) when I was a broke actor student living in Vancouver who could barely afford for paying for grocery because rent was so overpriced. But the funny thing is that I’ve rarely owned any of these cars for more than a couple years. 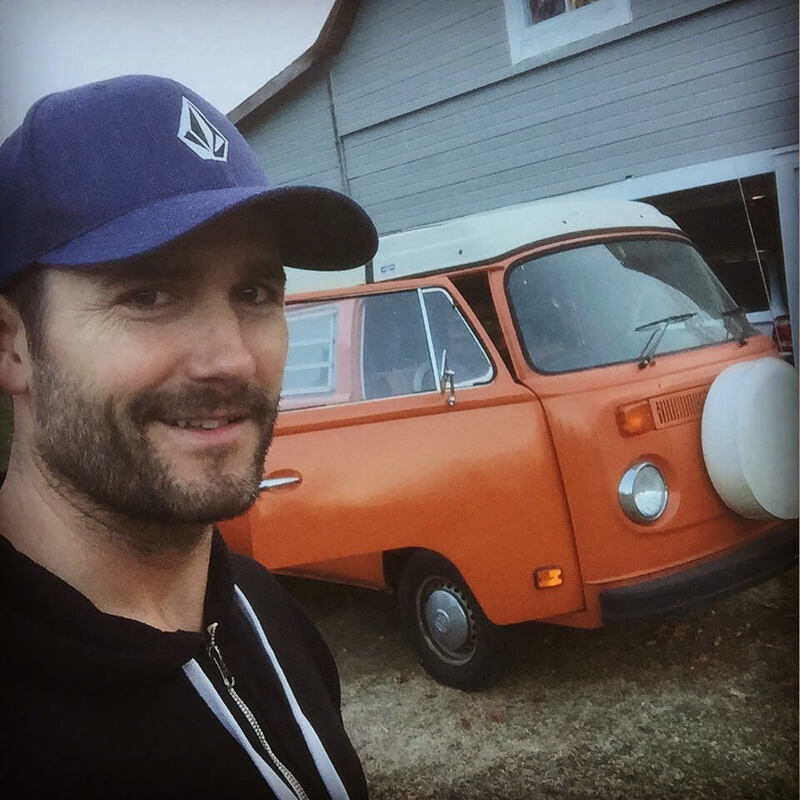 The only one that survived my taste for change is my 1975 Volkswagen Westfalia Type 2 named Jeannine that I bought for my film 2 Frogs in the West. I bought Jeannine (named after my mother) in Toronto in 2008 for $6,000. Today, she is now worth anywhere between $15,000 and $20,000. Don’t worry, she is not for sale and never will be. Jeannine is a star and the love of my life who was also featured on the poster of my film. Yep, that’s me in the driver’s seat as I was also one of the main actors in the film. If you love traveling as much as I do, you would probably love 2 Frogs in the West. You would also love Jeannine because Westfalia’s are simply awesome. These vintage buses are time traveling machines. A Westy is a home on 4 wheels that you can drive anywhere. While on the road on a nice summer day, with the windows down and your best track playing, this bus gives you a true taste of freedom while you travel and discover the world. As soon as you pull in a parking lot, Westy’s are the best conversation opener since it always makes people smile and everyone comes talk to you with a special Westfalia story as soon as you stop the engine. So yes, Westy’s are great vehicles but they also tend to breakdown often and they are so slow. This might explain why I’ve also always been in love with a faster car called: The Porsche 911. 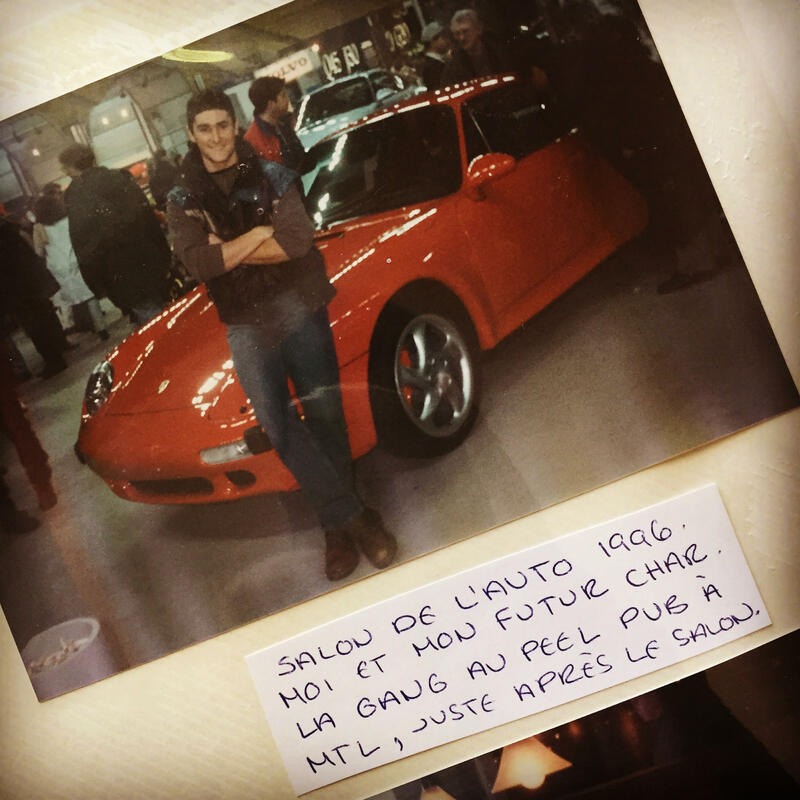 In 1996, at the age of 22 years old, I went to the Montreal car show with my college friends and I took this picture in front of a (stunning) Porsche 911 telling myself that, one day, I would own one. The Porsche 911’s actually have a rich history of love, passion, and engineering being them. To top it off, anyone who knows a bit about old Porsches (like Jerry Seinfeld) know that, just like Westfalias, these cars can be a great investment because many of them start gaining value with time, especially the rare models like the 911 Turbo, GT2, or GT3. I keep saying a should write a full blog post about why I love old Porsche 911’s so much. But if I do, I will also have to write a blog about why love Tesla so much and why I just put a $1000 cash down on a Model 3, which would force me to write two blog posts. So much work that seems so unrelated to Airbnb. 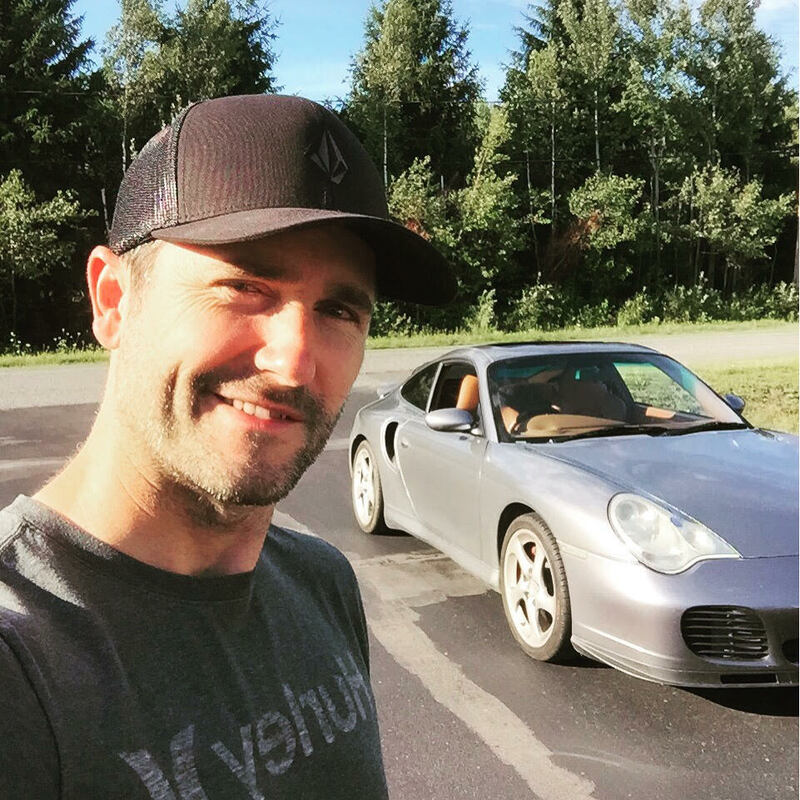 By the way, did you know that Elon Musk, CEO of Tesla, also loves Porsche 911’s? I bet he’s a fun car guy to talk to. Now, you might think that I’m bragging about my dream cars but I don’t mean to do so. I dreamed about these amazing cars for about 20 years before being able to afford a used version of them. I believe in having dreams and working hard to reach them, whatever they might be. When you pursue a dream with passion, nothing can stop you from achieving your goal, which also explains why I was ready to spend 10 years on my life working on my dream film, even if it meant going bankrupt with it. Following your dreams always leads you somewhere interesting and I want to help you achieve your dreams. You might tell me that money doesn’t buy happiness. But according to a 2010 study from Princeton University’s Woodrow Wilson School, apparently, money does buy happiness — but only up to about $75,000 a year. The lower a person’s annual income falls below that benchmark, the unhappier he or she feels. But no matter how much more than $75,000 people make, they don’t report any greater degree of happiness. The study doesn’t say if this amount is in Canadian or US dollars, before or after income taxes, but yes I do feel happier now that I’m not on the verge of loosing everything. 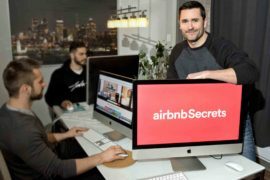 Making money on Airbnb has removed a lot of financial stress off my shoulders and it has allowed me to pursue other entrepreneurial dreams, like creating AirbnbSecrets, to help people like you succeed at Airbnb. So if you really are looking to get rich with Airbnb for the good reasons, let me show you how you can accomplish that dream. You do not need to own a fancy place to start listing your home on Airbnb (or on any short-term rental site for that matter). Just like the Airbnb founders, I started listing our home on this site with a couple of air mattresses that we bought for $50 each on a Saturday morning sale. And if I did this while being on the verge of bankruptcy, you can do this too – whatever your situation might be. You live in a small studio apartment and you don’t have space to greet Guests? Do you have a bed? Then why not start renting your micro-apartment on week-ends when you go away so that your Airbnb income could even start paying for your weekend trip somewhere? Oh, you are going on a vacation? Why not rent your home on Airbnb while you are in Mexico to pay for your entire trip? You do not have a spare bed? Why not buy an inflatable mattress or a cheap Ikea futon to greet Guests? You are a student living in a two-bedroom pad and you are sick of having a full-time pizza eating roommate? I know, roommates are gross. Why not rent that spare room to some Airbnb Guests, which could more than pay your full rent and/or mortgage? 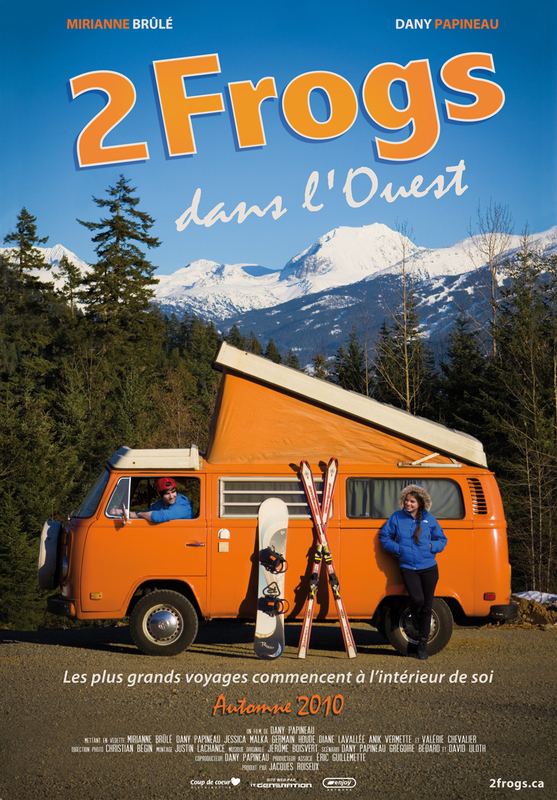 Do you own a second property or a chalet? You are rich my friend! But why not rent it while you’re not there to get even richer? 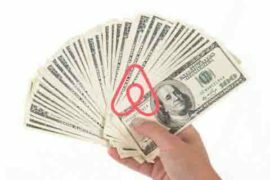 Whatever your situation might be, there is a way to start making money on Airbnb with what you already have. By leveraging your current assets, you might actually discover that there is a great demand for your place and that it could even be worth it to go live somewhere else to do Airbnb full-time with your pad. You think your place is too outdated to be rented on Airbnb? If your price is competitive for the type of space you offer and if you offer a clean space with great service to your Guests, there will always be someone wanting to rent your home on Airbnb, even if it’s stuck in 1975 – just like Jeannine! Do you know who Warren Buffett is? He’s the 15th richest man on Earth and he’s worth $71.6 Billion. He actually made 99% of his wealth after the age of 50 years old. I’m 42, so that gives me hope. As soon as you start making money on Airbnb, you may be tempted to spend it all. Instead, reinvest these profits in your Airbnb business to keep it growing. Your mattress is uncomfortable, your decoration is outdated, and your house needs a new roof? Reinvest your Airbnb income to update your place! By doing so, your makeover will become an expense that you will be able to deduct against your Airbnb revenue, which will help you pay less income tax at the end of the year. To top if off, the new look of your place will allow you to charge more money nightly on Airbnb, which will boost your yearly income and will allow you to reinvest even more money into your Airbnb business the next year to up your game. If you own the place, your property will also gain value from the makeover, which means that you will get even more money for it when you sell the place or when you decide to re-mortgage it to buy another property to rent out on Airbnb. Yup, that’s pretty much how I’ve built my Airbnb business for the last 4 years. Great corporations know how to run a loss for years because they take all their revenues and reinvest them in the business it into a multi-billion dollar empire. And Airbnb has been doing that for almost a decade. Actually, according to several media articles, 2016 was the first year that Airbnb is generating a profit since its humble beginnings. I bet they have a great accountant. The type of tax expert that teaches you how to ship your Airbnb income in tax-heavens to help you maximize your income and to grow your billion dollar business into a trillion dollar monster over 20 years. I wish I could afford this guy. Meanwhile, as soon as you start making money with Airbnb, you should call your local accountant to discuss how you can optimize your financial structure to pay less income taxes at the end of the year and to help reinvest your money to grow your Airbnb hosting business. Budget-wise, you should also learn how to run your Airbnb property on a tight budget. As an example, we currently do not offer cable TV in any of our properties. Cable packages can vary from $50 a month to $100(+) a month. When you have several properties, such monthly cost starts to add up quickly. Instead, we offer Netflix which costs $10 a month to run on six devices. Actually, most of our Guests use their own Netflix account or end up opening a free account when visiting us. Also, instead of hiring a cleaning firm, I hired a local neighbor whose cleaning rates are way cheaper than a cleaning corporation. I even started experimenting with shipping cleaning products from Amazon directly to my cleaner, which saves us lots of time, gas and money in the end. You should also start keeping track of every Airbnb-related expense and organize all your receipts related to your Airbnb operations. If you run multiple listings or properties, you should even classify your expenses and revenues per listings. I’ve been through a 16-month tax audit for my $62,000 Airbnb tax bill related to my AirbnbSecrets coming out and trust me, a taxation audit is hell if you are disorganized. Since then, my entire accounting workflow has been digitalized and lives in the cloud. I scan all expense receipts instantly with some of my Airbnb Tools like Scannable which means that my entire accounting is now available online for me to access anywhere on Earth from my iPhone. And I could now produce a tax audit in 5 minutes when it took me months to do it in the first place. No one can build an empire alone. Of course, except Donald Trump. 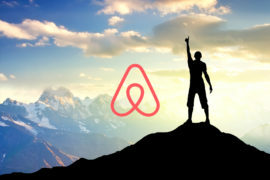 If you start making money on Airbnb, you will start getting a lot of back-to-back bookings and you will run into all sorts of problems that you will have to settle on the spot. On top of hiring a great accountant, start building an on-location team of trustworthy people that you can rely on at all times. For the last few years, I have found a very nice guy named Stefane who lives next door to our place and who has become my go-to guy to help me run my Airbnb’s. I speak to Stefane almost every day and he helps me with the cleanings and small maintenance duties related to our Airbnb activities. By the way, you have to respect and care for your cleaning team. Pay them well and be responsive to their requests. Without them, your Airbnb business is nothing. For electrical work, we often hire my father who has some knowledge in that department. My uncle Guy is good with plumbing and small renovations so he’s been our go-to guy for this type of work. Over the years, I’ve also learned to do a lot of renovations myself. Being on a tight budget has forced me to learn how to do wall plastering, painting, and even carpet changing. I’ve once even sanded and re-varnished our hardwood floors in our entire building with my boyfriend Brad and we’ve become good at doing a tasteful makeover on a low budget. For major renovation work, we have finally found a local entrepreneur that we can rely on and that has done 5-star renovations on our place. Major renovations can be very expensive but it can bring a lot of value to your property to help you raise your prices on Airbnb. If you are looking to hire someone for such big work, I suggest you to get at least get 3 submissions from different entrepreneurs. Ask for pictures of their past work and ask for past customer reviews to make sure you are hiring a trustworthy professional. By the way, when paying for major renovation work, I suggest doing the payment in 3 steps. A first payment covering one-third of the fee upon signing the deal. Then, you should give a second one at mid-term during the work. And a third final payment once the work is completed. I once fully paid a Craigslist renovation guy during his first day of work to do some brick job on our duplex. The guy ran away in the middle of the job and never completed the work. I only wish someone told me this tip. Airbnb is all about building trust and about building a good reputation online. Once your Airbnb profile starts to get a lot of positive reviews, leverage this to start taking on more listings. There are different approaches to doing that. You can start buying more properties to build an Airbnb real estate empire. But you need to be rich to do that or partner with rich people to work on such project together. If you have access to rich friends, show them your numbers and come up with a plan to acquire more properties with them. If you only have poor friends, the affordable approach is to become an Airbnb Co-Host to manage more properties under other people’s profiles. To find prospects, you can start posting about your Airbnb hosting services on Facebook and other social medias. You can also talk to your co-workers about your Airbnb management skills and see if they have one or several properties that you can manage for them. By the way, the closer your properties are from each other, the easier it is to manage several properties with the same team. Properties that are the more lucrative are the ones that can fit more people in comfort and style. 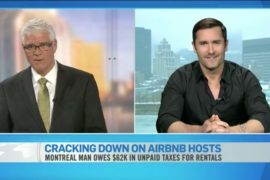 No wonder why Airbnb just acquired Montreal’s Luxury Retreats for more than $300 million. 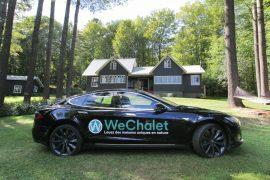 Luxury is one of the most lucrative segments of the short-term rental market so take note of that. By they way, an Airbnb management fee usually varies from 15% to 30%, depending on what you are taking care of for the owner. The more you know how to maximize the Airbnb income of a property, the more you can justify a higher rate because your fee will entirely self-pay for itself in the end, if you know what you are doing. I currently manage 10 listings and I’m currently growing my Airbnb management portfolio. Let me tell you that my management fee sure pays for itself. To get rich with Airbnb, there is no short-cut. You have to learn how to maximize your income while optimizing your expenses to get the best return on your investment. And the best thing that you can invest on is in your education. Because the truth is, Airbnb has a steep learning curve and it will cost you lots of time and money to try to learn everything on your own. I currently offer a lot of free Airbnb Host tips via email to empower all levels of Airbnb Hosts. There’s so much more to know and there’s so much we can get into on the tactics. Yes, this Airbnb email course is totally free and you just need to enter your email below to sign up.